Coral Barclay was born in 1959 on the Pacific West Coast of British Columbia. She grew up in the beautiful beachside town of Lanztville on Vancouver Island. Her family lived in a cabin by the ocean. 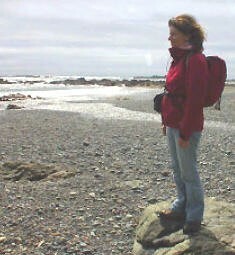 Here she had endless time and opportunities to experience and observe the wonder and wildness of sand, sea and sky. 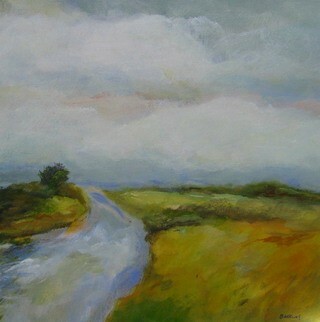 Expanses of beach and windswept skies set the mood for her large acrylic paintings on canvas.